Why are some psychoactive substances regarded as ‘dangerous drugs’, to be controlled by the criminal law within a global prohibition regime, whilst others – from alcohol and tobacco, through to those we call ‘medicines’ – are seen and regulated very differently? 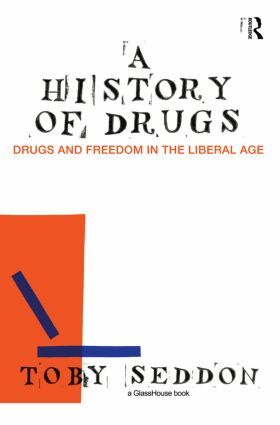 A History of Drugs traces a genealogy of the construction and governance of the ‘drug problem’ over the past 200 years, calling into question some of the most fundamental ideas in this field: from ‘addiction’ to the very concept of ‘drugs’. At the heart of the book is the claim that it was with the emergence in the late eighteenth century of modern liberal capitalism, with its distinctive emphasis on freedom, that our concerns about the consumption of some of these substances began to grow. And, indeed, notions of freedom, free will and responsibility remain central to the drug question today. Pursuing an innovative inter-disciplinary approach, A History of Drugs provides an informed and insightful account of the origins of contemporary drug policy. It will be essential reading for students and academics working in law, criminology, sociology, social policy, history and political science.